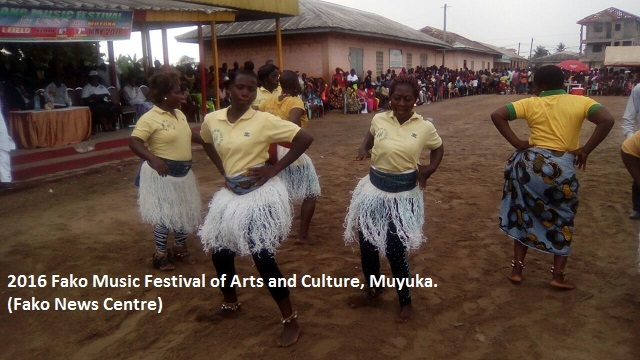 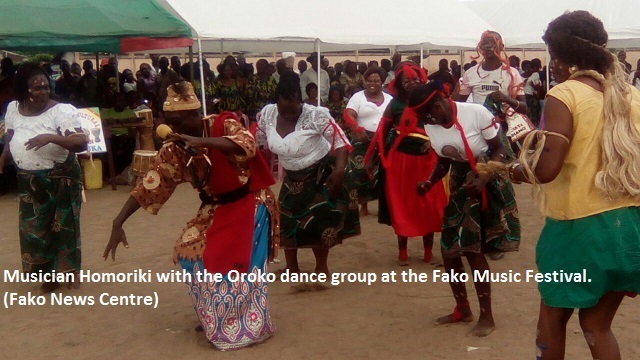 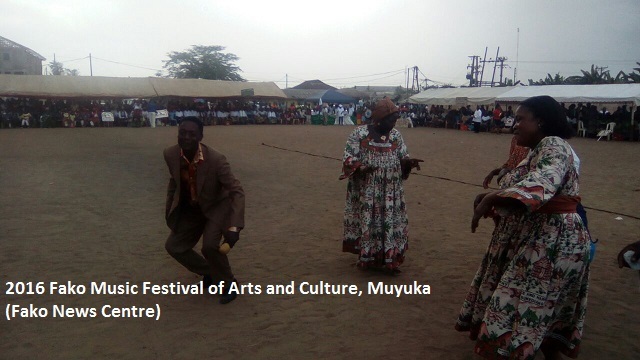 While observing a display of cultural values by over 35 cultural groups and over 25 South West Region-based artists/musicians in the form of tradition dances, choral singing and music, the Diplomat, Churchill Ewumbue-Monono, noted that Muyuka is a cosmopolitan town accommodating people from diverse but rich cultural backgrounds from all parts of the country. 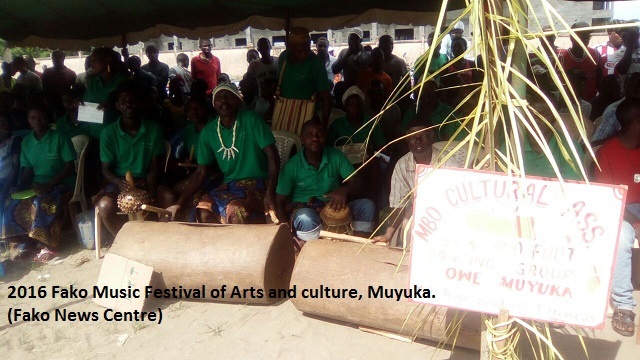 He explained that the population of Muyuka has the potential of attracting foreign tourism through their display of works of art and performing cultural dances. 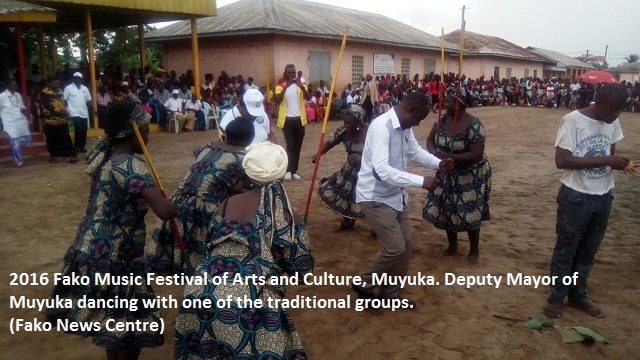 While congratulating the participants for a mastery of their cultures, he encouraged them to be proud of their values and be ready to display their culture whenever they have the opportunity to do so. 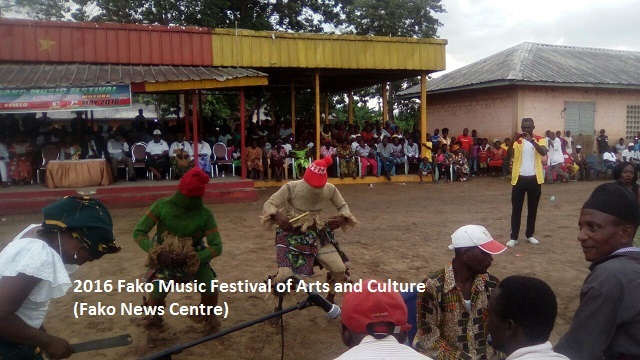 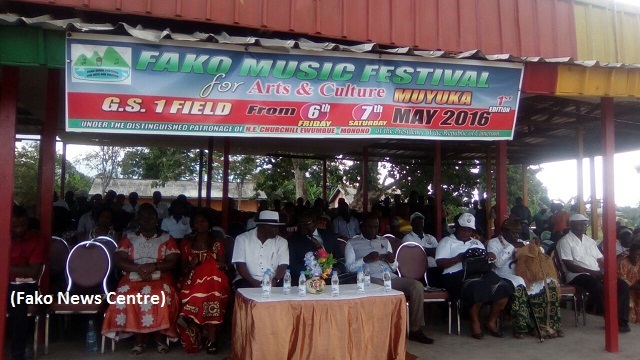 Mola Ewumbue Monono promised to throw his weight behind the organisers, Tata Kinge and his team, in organising future festivals, especially in other towns. 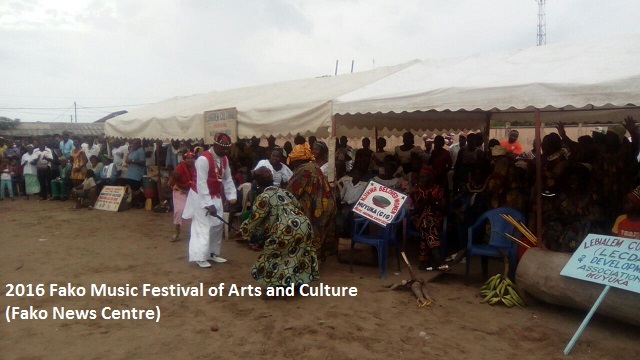 He also appreciated the mobilisation spirit of the organisers that brought together over two thousand participants and spectators. 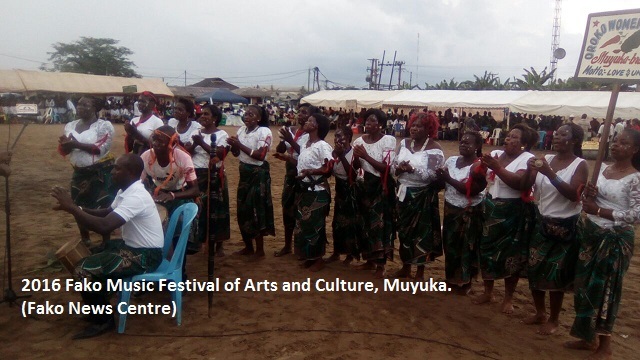 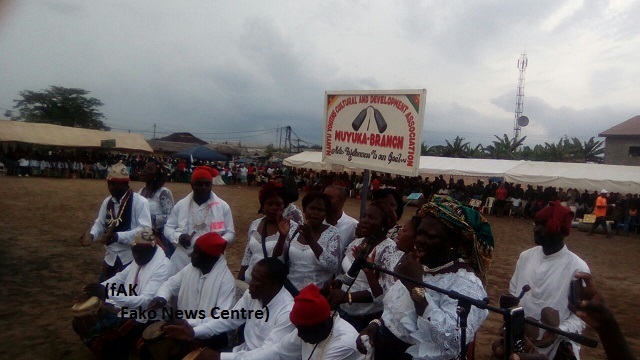 The groups presented cultural dances from the West, North West, Littoral, South West and Northern Regions. 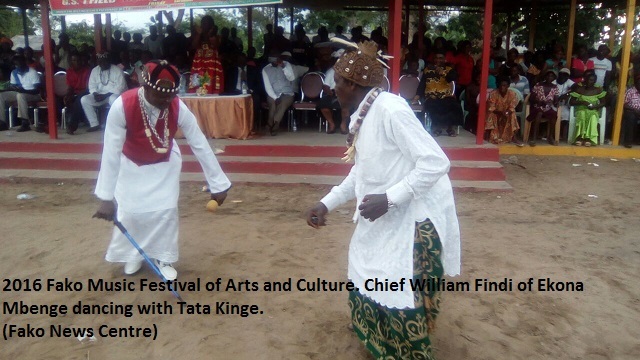 For the organiser, Tata Kinge, this is just the beginning of many entertaining activities in his plan of action. 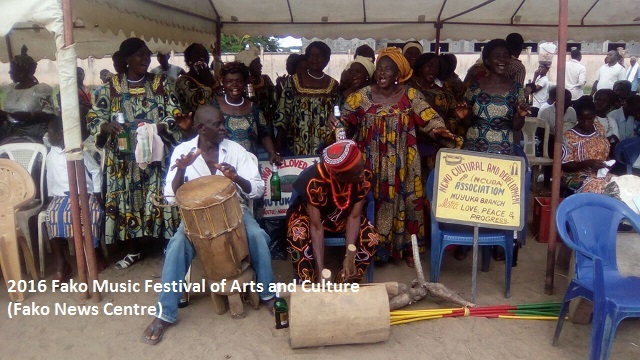 According to him, being a cultural artist and promoter of indigenous cultures in Cameroon, he plans to bring the people of Cameroon together through music and cultural entertainment. 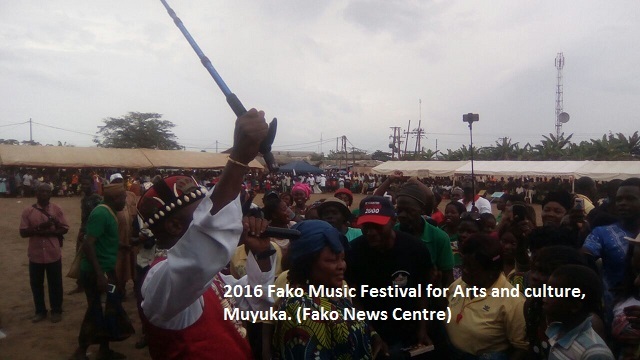 Tata Kinge explained that he has used this maiden edition of the Festival to test the grounds and from the results the population has welcomed the idea. 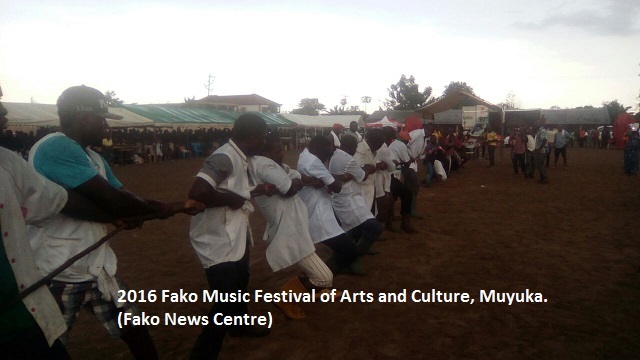 The event also witnessed a tug-of-war, a cross-country race and an all-night live music concert that took place on Friday May 6, 2016. 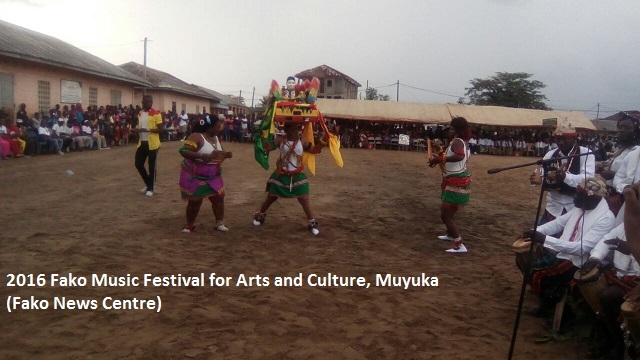 The Butchers of Muyuka won the tug of war by defeating the Commercial Motorbike Riders of Muyuka. 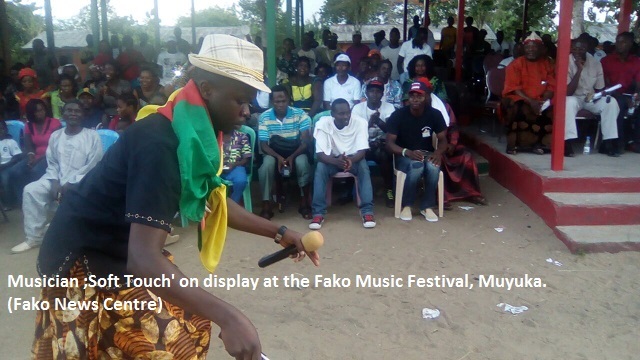 There were many artists on stage for two days like Njume Loko, Andy Manyaka, Homoriki from Meme Division, King Soft Touch, Amu Mbah, Richard Brown, Hiroshima Mbake, Micheal Nji, Ras Stima, Betondi James and a host of others. 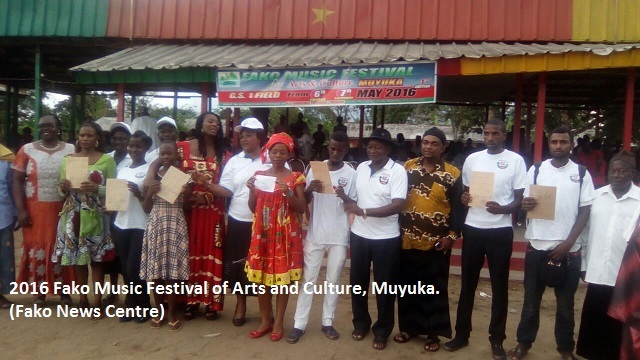 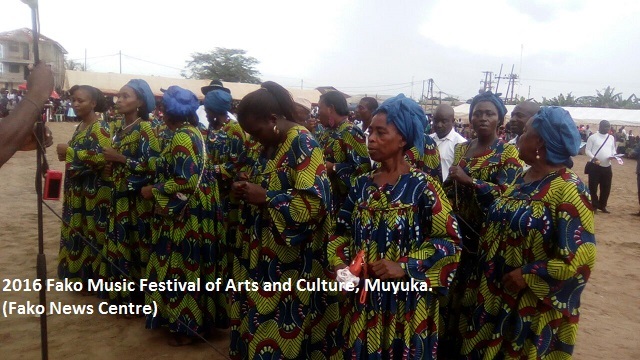 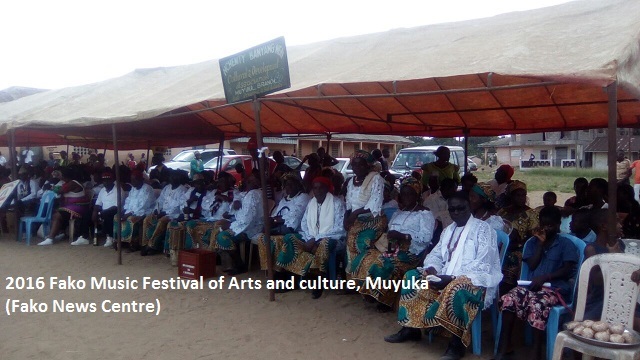 This event was also attended by the Divisional Officer for Muyuka, The South West Regional Delegate for Culture, the Deputy Mayor of Muyuka, the traditional authorities of Ekona, H.R.H. 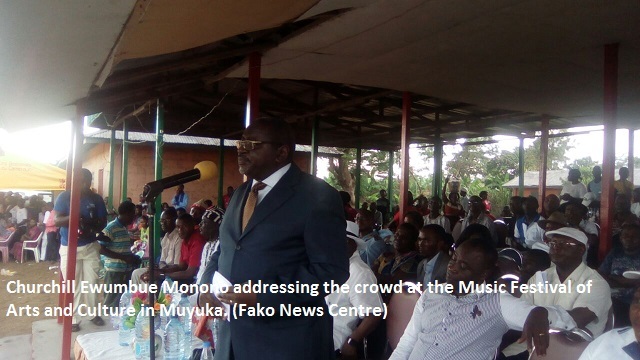 Chief William Findi and that of Muyuka, Chief Mukete, among other dignitaries.